He Golfs, I Scrap: This is what Swagger looks like! 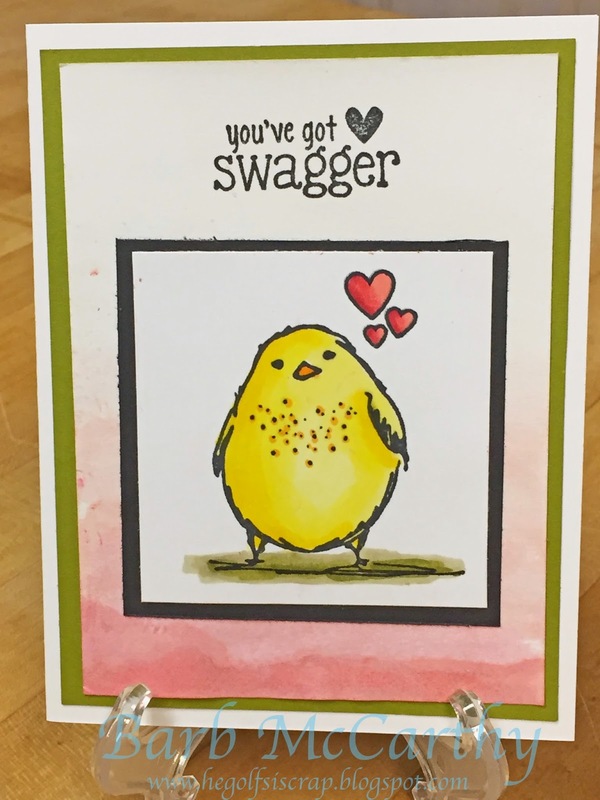 Here is a cute little chick with lots of S W A G G E R! I tried the new Dip Dye technique for the background - it is definitely something I will keep practicing! Sooo cute! Love that chick! Cool technique too! Spied you on FWF. Sweet card! Love the background! Lol...this is darling! Thanks for sharing! How fun! I love what you did with the chick and the background. Very cute! This little guy makes me smile. Very cute. I like the background. Oh this is such an adorable card. Such a fun stamp. I love this little chick! Cute card! How cute. Love your coloring and the background is super. Super fun card and I like the dip look on the bottom of the card. Very cool. Awesome that you tried the new technique!! I might myself soon :) Love this little guy, he has swagger too! This little bird just steals the heart! Like the water color background. Thanks for sharing your cute FWF card. Came from FWF...love that chick! This is a very cute card and that background technique looks great! Cute card! I never heard of the dip dye technique...I'm going to have to check it out! What a cute card. Love the little chick. darling card! the dye looks really amazing on your card... the color is beautiful. So glad you joined the Unity Be Inspired Challenge!